In 2016, the company decided to make a big push towards transforming itself for the digital age. What has made Keller Williams so successful, has been their ability to nurture talent in their agents with industry leading training. They are also second to none in building a culture that celebrates achievement. Now, they are working to empower their agents with the best digital tools to set them up for success. Over the past 6 months, we’ve been working closely with KW to bring this vision to life. A big part of why Keller Williams partnered with us is the design thinking we’ve been able to bring to their organization. Building great products is one thing, but ensuring the organization you’re building it for is set up to support and grow them is invaluable. 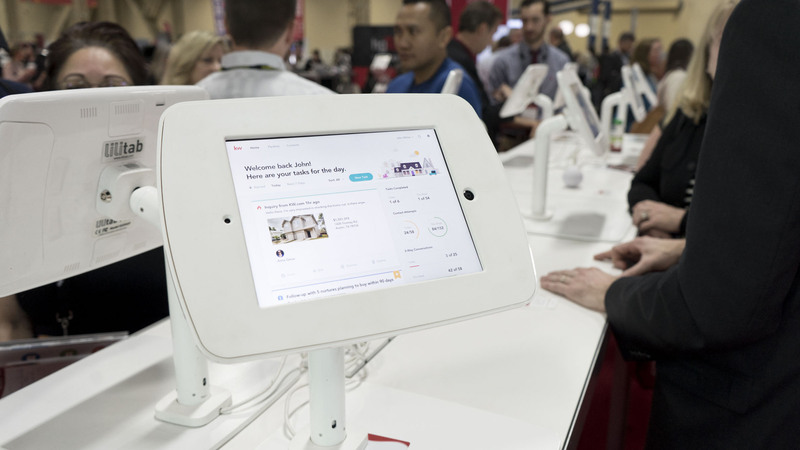 One of the key components of this digital transition Handsome worked on was the KW Cloud Platform – revealed at the Keller Williams annual Family Reunion conference. Held in Vegas each year, over 20,000 agents gather to hear about the latest industry strategy and tools from founder Gary Keller and the rest of the Keller Williams team. On the convention floor, we gave thousands of product demos over four days. On stage, KW company leaders announced their largest and most expansive plans for product development to date. The excitement was palpable. We also took the opportunity to sit down with agents, collect their stories, and drive those insights back into the design of the product. We were proud to be able to partner with Keller Williams to communicate the vision and value of this product to their agents.